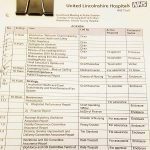 During Lincolnshire County Council (LCC) Full Council meeting on 16th December 2016 a Motion opposing the Lincolnshire Health and Care (LHAC) proposals within the Lincolnshire Sustainability and Transformation Plan (STP) was moved by Councillor Mark Whittington (Cons) and seconded by Councillor Charmaine Morgan (Lab), who is also chair of SOS Grantham Hospital (SOSGH). Cllr Ray Wootten helped draft the motion. 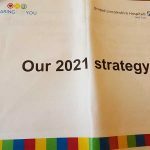 The contentious elements of the Lincolnshire STP proposed the downgrade of Grantham A&E to an Urgent Care Centre, midwifery services at Boston would also be downgraded. Major trauma care would be moved outside the county. Whilst Urgent Care Centres are planned they are GP and nurse led and do not offer resuscitation and life sustaining treatment. The overall number of consultants and middle grade A&E doctors would fall. Cllr Whittington referred to the closure of Grantham Hospital A&E at night and the impact this had on the community. He asked for other comments. He said that it appeared the STP would help the health care providers make significant savings amounting to 30% of their budget over 3 years. As councillors spoke some common issues emerged especially around the difficulty people have accessing acute emergency care and GP services. The lack of GPs is very pertinent given the LHAC proposals rely on them. A suggestion was supported that Lincoln Hospital should be a university hospital to attract more medical staff. A call for the return of State Registered Nurses rather than degree qualified nurses was also widely supported. Issues around inequality in healthcare on the East Coast were raised. 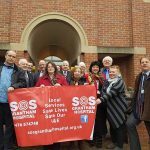 There was agreement that local people should work together to respond to the Lincolnshire STP and lobby the Government for more funding and reconsideration of training. Cllr Ray Wooten commented that Lincoln Hospital A&E was already failing to meet patient waiting targets. Concerns over the pressure on the East Midlands Ambulance Service (EMAS) were raised. The root causes of ill health including poverty and environmental conditions, need to be tackled. A question was raised over why the Government had cut Public Health funding when early intervention and preventative care improves health. A concern was raised that the Government cuts were putting lives at risk. During the debate several cases were referred to with a number of councillors commented on their own personal experience including Cllr Stephen Palmer and Cllr Christine Talbot who also confirmed LCC had made the submission of the closure of Grantham A&E at night to the Secretary Of State for Health. A Nuffield Trust report identified that 97% of people within NHS England live 18 miles or less from an A&E unit. Research by SOSGH quoted had identified exceptional journeys for Lincolnshire residents as some travelled 40 miles to access life saving treatment. SOSGH research also identified public transport was poor in the day with some areas having no public transport the majority of the county has no public transport at all at night. Cllr Morgan raised a concern that the STPs were undermining the ‘national’ A&E network, which should be protected and retained. Grantham A&E is used by residents from Lincolnshire, Leicestershire, Nottinghamshire and even Rutland. A national campaign is needed. After extensive debate and contributions from councillors across the county the motion won unanimous support as LCC rejects LHACs Lincolnshire STP. 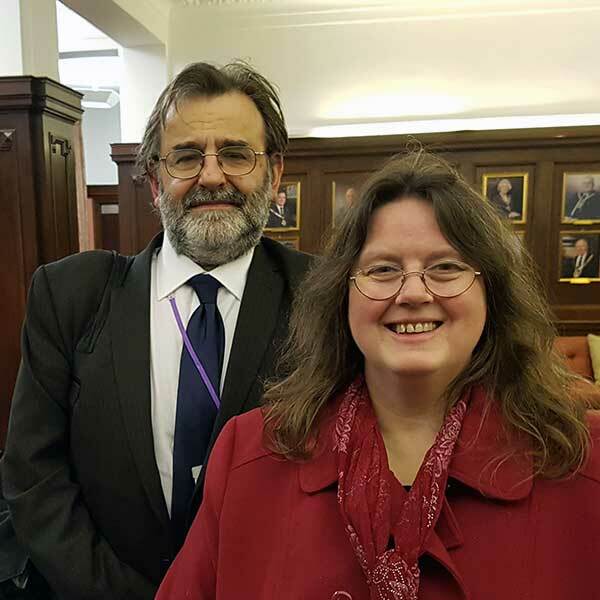 A motion proposed by Labour Group Leader Cllr John Hough and seconded by Cllr Sarah Dodds (Lab) was debated at the same time. It also won unanimous support. The motion called for a cross party group to examine the impact of the Lincolnshire STP on Lincolnshire. She said “Well we’ve proven there are people willing to fight and as I like to say where there’s a will there’s a way”. 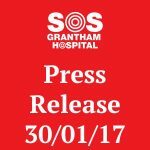 Cllr Whittington thanked Cllr Morgan, SOSGH leading the local campaign in Grantham and Fighting4Grantham Hospital for their work. At present LHAC are gathering early comments in response to the STP. A formal Public Consultation takes place in May 2017. Organising CPR Training sessions for the community and obtaining more defibrillators. Motion proposed by Cllr Ray Wootten, seconded by Clkr Charmaine Morgan against the STP to be debated at SKDC meeting on January 19th 2017. Meeting open to the public which begins at 2pm.